If you’re thinking about relocating and taking your real estate career with you, a new report from Goodcall might help you determine the best places to relocate as a new agent. Goodcall is a research and data service that provides consumers with information and guidance regarding personal finance, career choices, academic scholarships, and much more. The organization recently published 2015’s Best Metro Areas For Real Estate Agents, which studied 150 metropolitan areas across the U.S. to determine which are the likeliest hunting grounds for beginning or aspiring residential real estate agents. 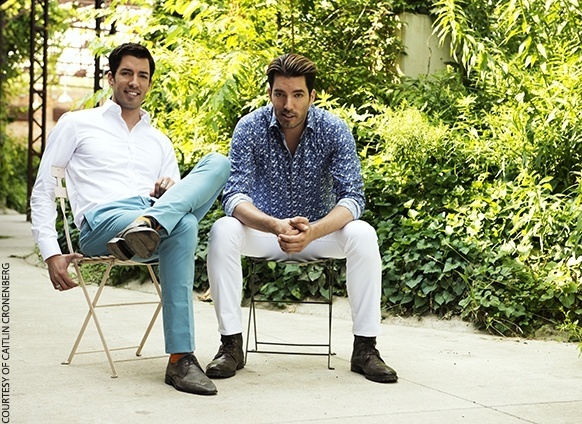 Drew and Jonathan Scott, aka the Property Brothers, are on HGTV nearly every time you turn on the channel. We know them for their real estate expertise, home renovations and interior design, but they also have a passion for branding and business which led them to a real estate investment company, a production company, four reality shows and ultimately, celebrity status. See a few tips the brothers have for you at Success.com.